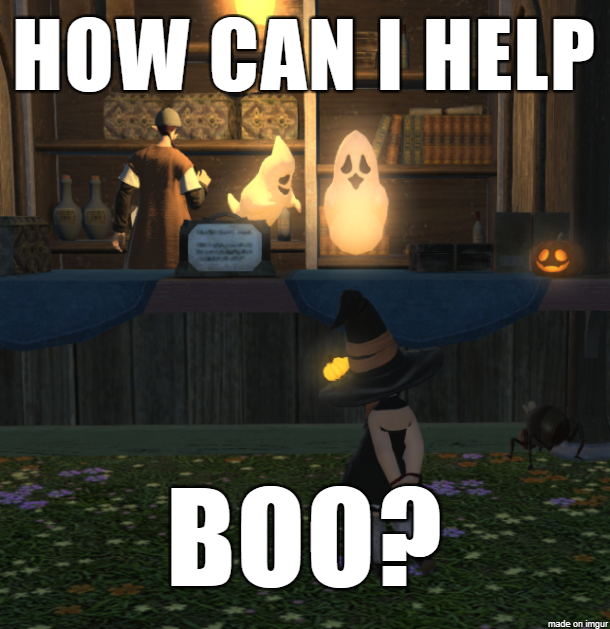 I wanted to share these spoopy halloween memes I made from the game Final Fantasy XIV with you guys. 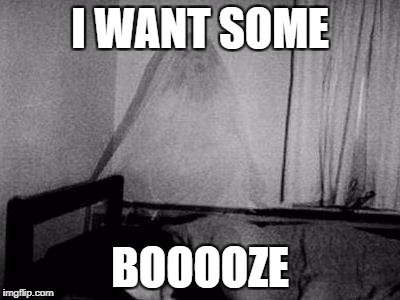 I think I am hilarious and I hope you find them funny as well. 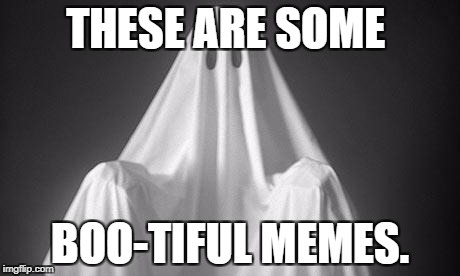 Or you know - Spoopy AF! 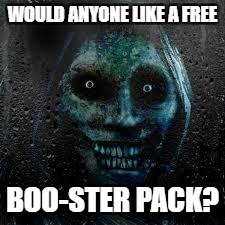 Ghost's working at the counter be like: How can I help Boo? 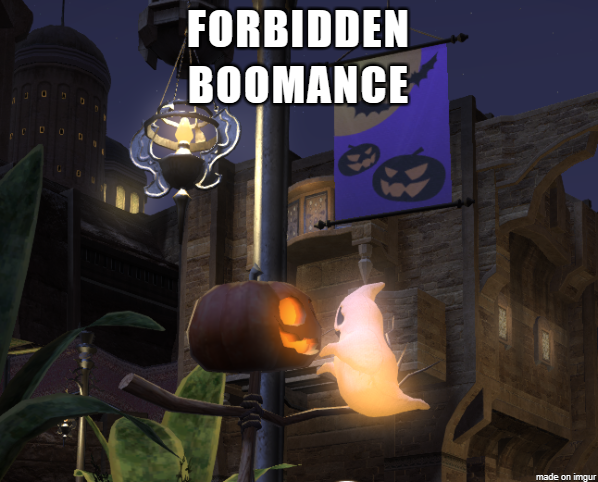 Jack o'Lantern and Ghost love, not ok. Its a Forbidden Boomance. 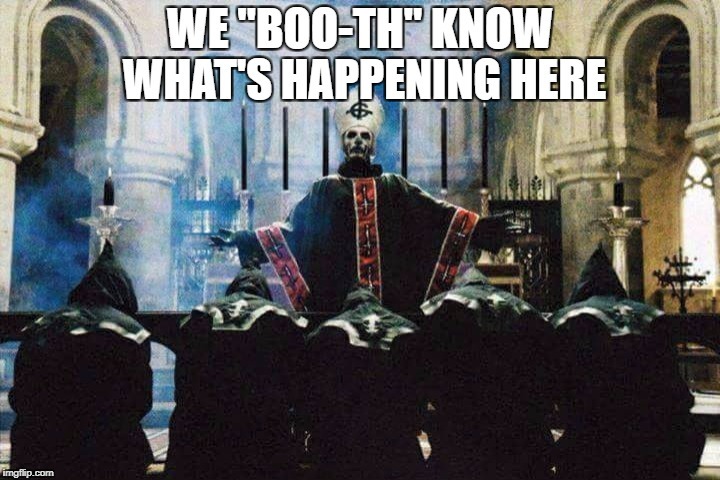 Dancing with the hot ladies? 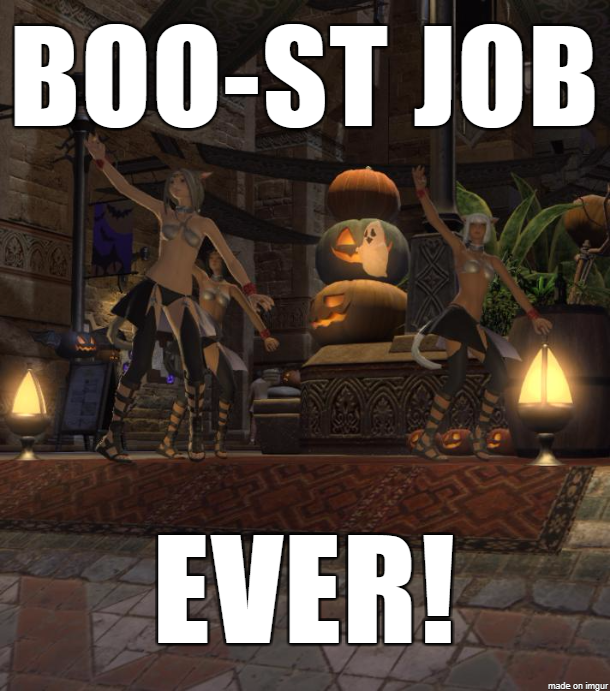 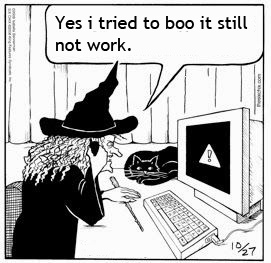 Oh yeah, boo-st job ever! 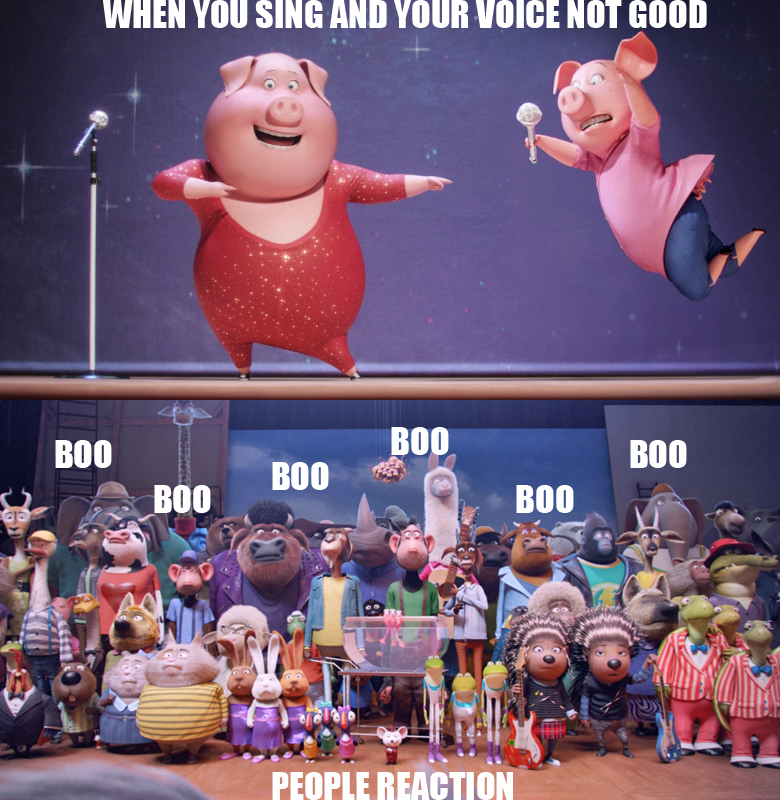 Friend tells you all about his bad day, you reply: Aww man, that's boo sheet. 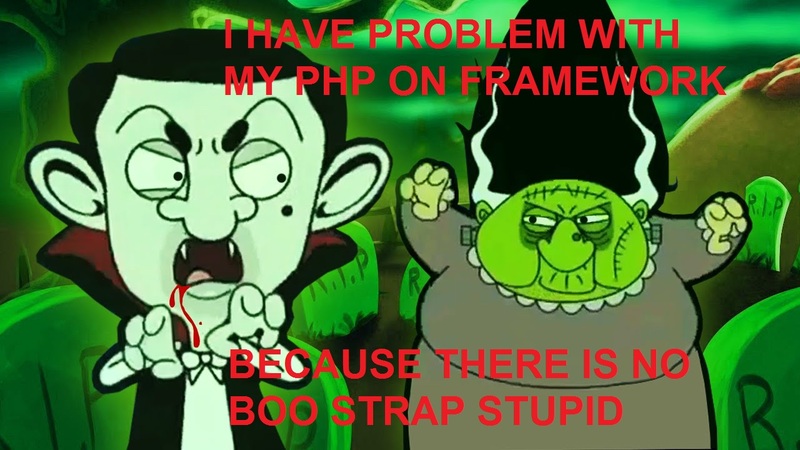 Last edited by BloodyCode; 24-10-17 at 10:50 PM.